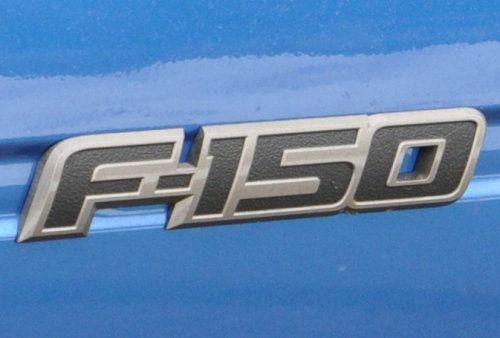 The suit by Ford Motor Company against Ferrari and the American sales branch of Ferrari, claiming that “F150” is too close to the F-150 name that Ford has used on their light duty pickups since 1975 (they officially trademarked the F-150 name in 1995). Even though the Ferrari F150 is a race-only car that will not compete anywhere in the United States, Ford has requested that Ferrari be blocked from using the F150 name in the United States in any way, including selling products that represent the F150 race car. Ford also wants Ferrari to forfeit any profits earned in the US based on the F150 name, along with paying $100,000 in damages under the Anti-cybersquatting Consumer Protection Act. This morning, according to AutoWeek, Ferrari has quietly changed the name of their F150 race car to the F150th Italia. The company hasn’t made much noise about the name change but in a release this morning discussing the new race car, the company referred to the car as the F150th Italia. The Italian automaker has also changed the wording of their January 25th press release announcing the new F1 car, with the revised name replacing the original F150 name. It will be interesting to see how this Ford-Ferrari lawsuit over the F150 name plays out now that Ferrari has changed the name. The F150 name is still technically included, even though they have added a “th” to the end and Italia after. Ford alleges that Ferrari used the F150 name to attempt to capitalize off of the well-known name but Ferrari originally announced that they used the F150 name to pay tribute to the 150th anniversary of the unification of Italy. According to Autoblog, Ford initially asked Ferrari to change the name when they announced that it would be called the F150 but when Ferrari did not respond quickly enough, Ford filed the suit. Both Ford and Ferrari have been very tight-lipped about this but with Ferrari seemingly taking the first step towards avoiding a lawsuit, hopefully one (or both) of the companies will have more to say about the situation. Maranello, 10th February - On the subject of the name of the new Ferrari Formula 1 car, the Maranello company wishes to point out that it has sent a letter of reply to Ford, underlining the fact that the F150 designation (used as the abbreviated version of the complete name, which is Ferrari F150th Italia) never has, nor ever will be used as the name of a commercially available product – indeed there will definitely not be a production run of single-seaters. In fact, it has always been the case in the history of Scuderia names, that they represent the nomenclature of a racing car project and are linked to a chronological order with a technical basis, or in exceptional cases, to special occasions. This year, the decision was taken to dedicate the car name to a particularly significant event, the 150th anniversary of the Unification of Italy, an event of such great importance that the Italian government has declared, for this year only, a national holiday. For these reasons, Ferrari believes that its own contender in the forthcoming F1 championship cannot be confused with other types of commercially available vehicle of any sort whatsoever, nor can it give the impression that there is a link to another brand of road-going vehicle. Therefore it is very difficult to understand Ford's viewpoint on the matter.